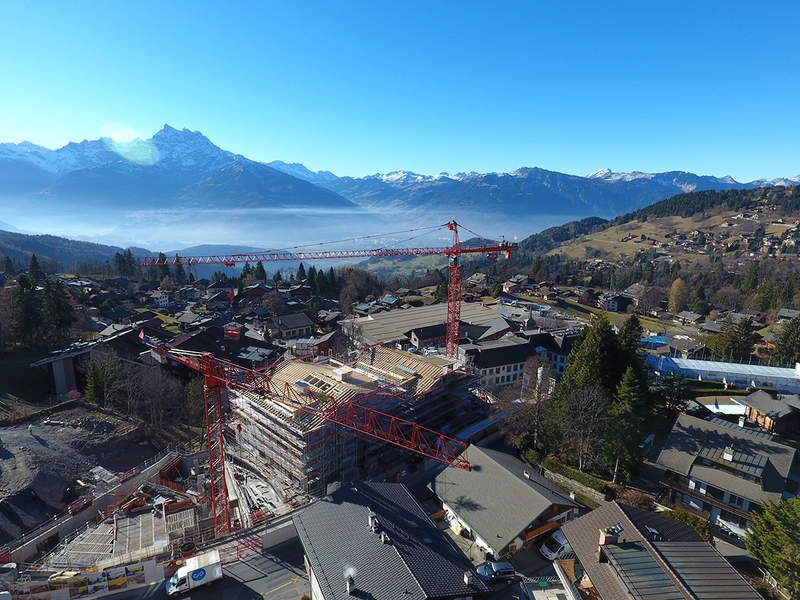 Founded in 1910, Beau Soleil is one of the oldest private boarding schools in Switzerland, located 1,350 metres above sea level on the Swiss Alps. The unique location, featuring the existing school and the main road to the city indicate the complexity of the expansion and transformation project. Alberti Ingénieurs SA needed to realise the project within an exceptionally short time. The gross floor area of the project is about 9000 m². It comprises two chalets, a gymnasium, eleven classrooms, six laboratories, a boarding school, a cafeteria and a few meeting rooms. 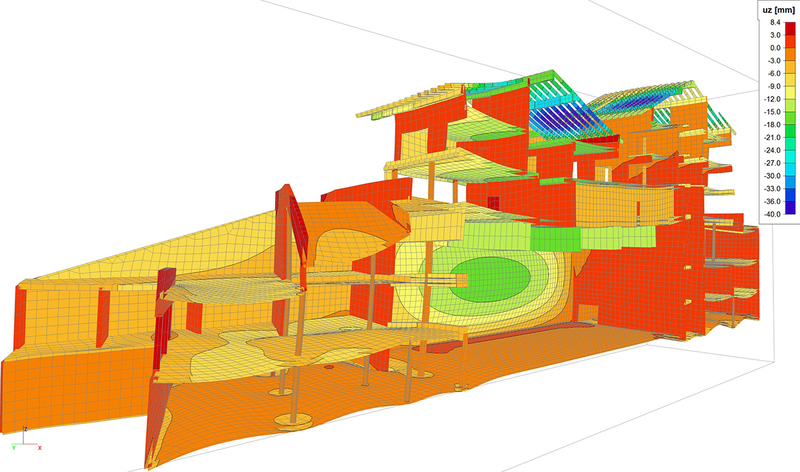 The complexity of the project, such as the unique location, the construction stages, the soil- structure interaction,… are the reasons why Alberti Ingénieurs SA analysed and calculated the structure completely in SCIA Engineer. 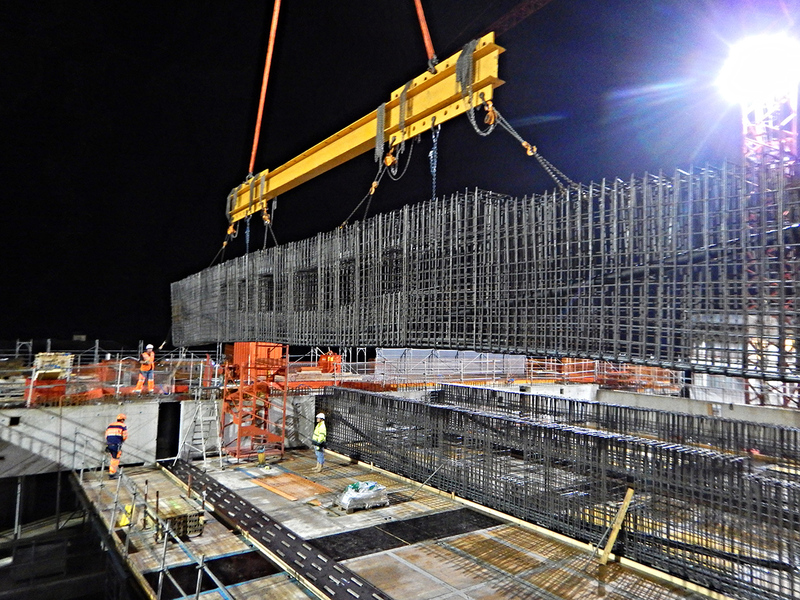 During the construction, the road passing just next to the construction site had to be stabilised using a 14 m high and 120 m long pile retaining wall. As the final building should sustain the earth pressure, this soil load had to be considered in the analysis. In the long term, the new building is designed to totally support the earth’s pressure by introducing the soil actions on the building model. These pressures were calculated in SCIA Engineer according to the geotechnical parameters, defined by the geotechnical study. Post-tensioned concrete beams with large openings as well as post-tensioned concrete slabs have been used to support the two chalets above the gymnasium. The beams and slabs were designed in SCIA Engineer. 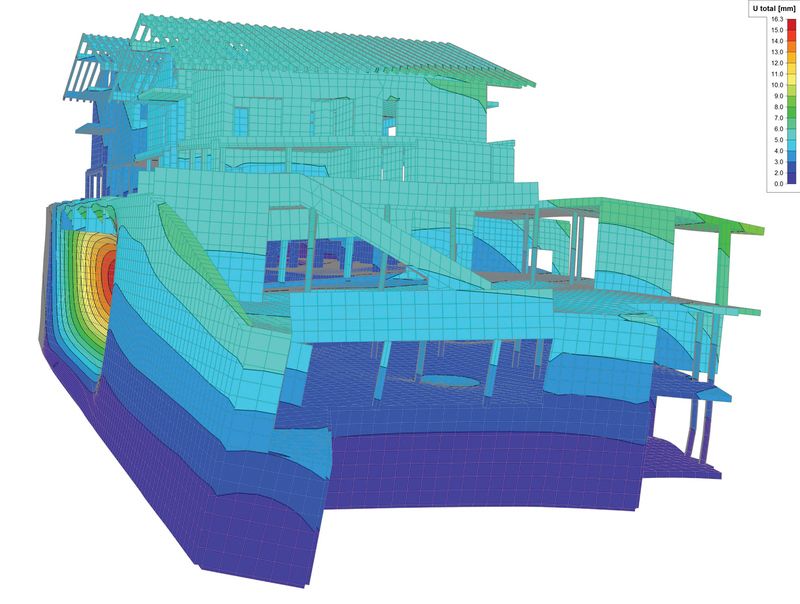 The engineering company was particularly pleased with the speed of the numerical model development in SCIA Engineer and the different simulations for the studying of variants and the seismic check.